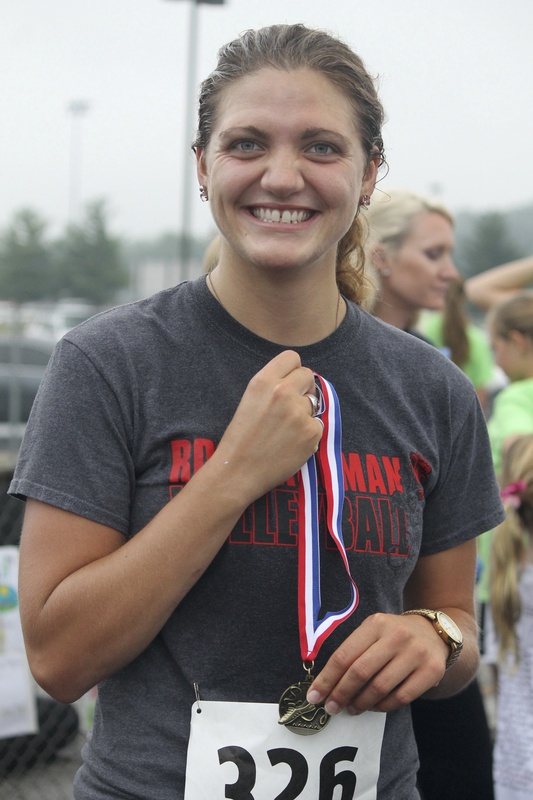 Benton will be recognized at the Aug. 1 Dani’s Dreams Memorial Walk/Run at New Palestine High School. In the seven years of the Dani’s Dreams scholarship program, more than $3,500 has been awarded to deserving young people in area high schools. They are all changing the world in positive ways through their academic and creative efforts. You can help them by donating or registering for the Aug. 1 Dani’s Dreams Memorial Walk/Run on this website. It is the blank, foreboding stare. I do not think there is fear, sadness or pain. Rather, there is nothing, and that is the worst part. One can quickly learn to cope with the forgetfulness, misplaced objects, forgotten names, and confused faces. I think that is the easy part; at least I do now. So many people seem to think this disease is only the forgetfulness. However, it is a forgetfulness that invades all aspects of one’s life. It starts with names, events, faces, but it does not stop there. It is a relentless forgetfulness that leaves nothing. It erodes emotions, erases histories, infect simplicity. It steals loved ones. It stole my grandmother. To some, choosing a career path at 18 may seem like a daunting task. However, I know what I need to do. Having watched Alzheimer’s steal my grandmother’s memories, independence, and livelihood, I feel called to pursue a career in medicine and research. I plan to major in the biological sciences at DePauw University, attending medical school, and eventually specializing in neurology. I am not so naive as to think one person can cure Alzheimer’s Disease. This war will take many soldiers, tirelessly working together to find a cure. I want to join this fight. I have witnessed how unforgiving Alzheimer’s Disease is, and as a physician, I would be able to provide a unique perspective, understanding what patients and their families go through. That is, the perpetual loss, piece by piece, of a family member. Why do I wish to pursue a career in the sciences? Simply put, it is the nothing that drives me. There is nothing that can be done for Alzheimer’s patients. There is no pill to temporarily alleviate symptoms, no treatment regimen, and no path to remission; there is nothing. It is the nothing that ceaselessly invades my grandmother’s life, forcing her to forget the life she lived, the family she loved, and the memories she had accumulated. But most importantly, it is the nothing I see in her tired eyes; the lack of energy, personality, and liveliness that once dominated her life. 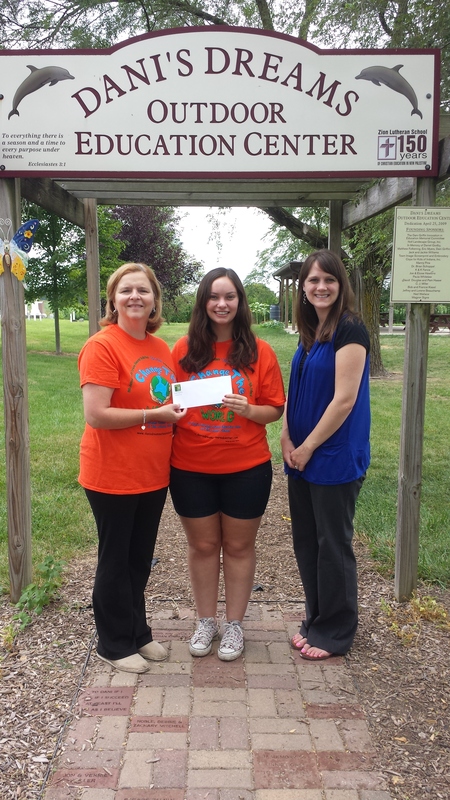 The first recipient of the Dani’s Dreams Scholarship, Anna Lewer, won the women’s division in the 2013 Dani’s Dreams Memorial Walk/Run. Lewer graduated from Rose-Hulman Institute of Technology. The Dani’s Dreams Innovation in Education Memorial Fund Committee of Zion Lutheran School in New Palestine announces its annual college scholarship. For the eighth year, The Dani Griffin Innovation in Education Scholarship will award a $500 one-year scholarship to a high school senior with a 3.0 grade point average or above who attended Zion Lutheran School (in any grade, preschool through eighth) or is a confirmed Zion Lutheran Church member or is a Southern Hancock resident and plans to attend a university and major in education or the sciences. Deadline is April 17, 2015. The winner will be announced in early May and will also be recognized at the Dani’s Dreams Memorial Walk/Run Aug. 1. Please contact Committee Chairperson Donna Griffin at 640-4430 or email dgriffins96@gmail.com for more information. Celebrating our roots both in our family and nature, allowed Dani’s Dreams to strengthen its mission and expand its reach in 2014 throughout Hancock County, in both big and little moments. Hancock County families found the real treasure by shaking off the winter doldrums Feb. 26, 2014 at Children’s Museum Night, sponsored by Dani’s Dreams Outdoor Education Center at Zion Lutheran School’s gymnasium. 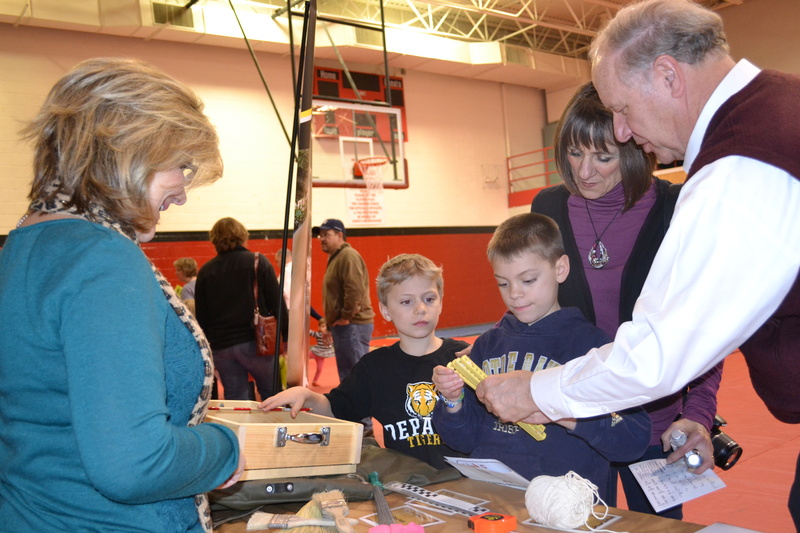 The evening included free, educational and entertaining activities designed for families to learn and interact together when the Children Museum’s, National Geographic’s “Treasures of the Earth” came to New Palestine. Zion’s PTL provided concessions for sale. •This entertaining and educational science program kicked off the year’s activities at Hancock County’s only outdoor education center. 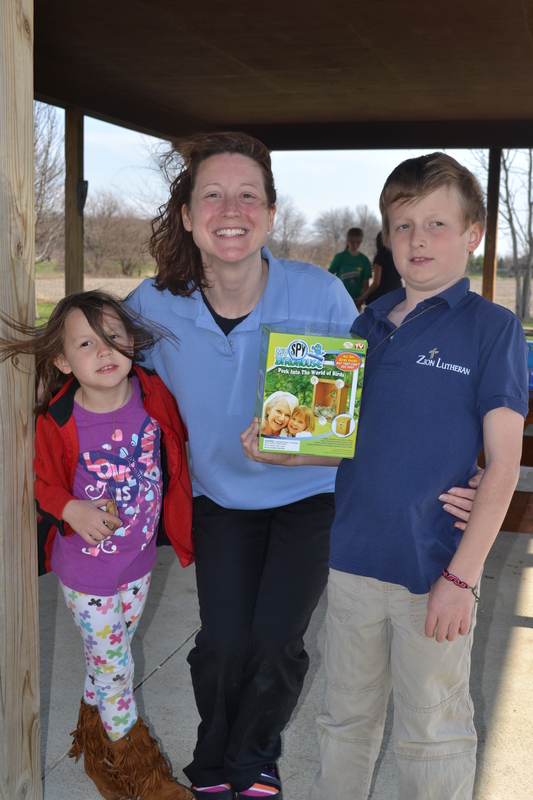 Discovery, learning, growing and hands-on activities were the order of the day at the sixth annual Dani’s Dreams Earth Day Dedication Event April 10 at the outdoor education center at Zion Lutheran School in New Palestine. The warmest day of the year so far was prime time for children and their parents and grandparents to enjoy several outdoor activities and each other’s company, including a Nature Detective hunt, where children gathered information on butterflies, birds, dinosaurs, weather and photosynthesis. All winning names were placed in a random drawing for an I Spy birdhouse. The Day family won the birdhouse! 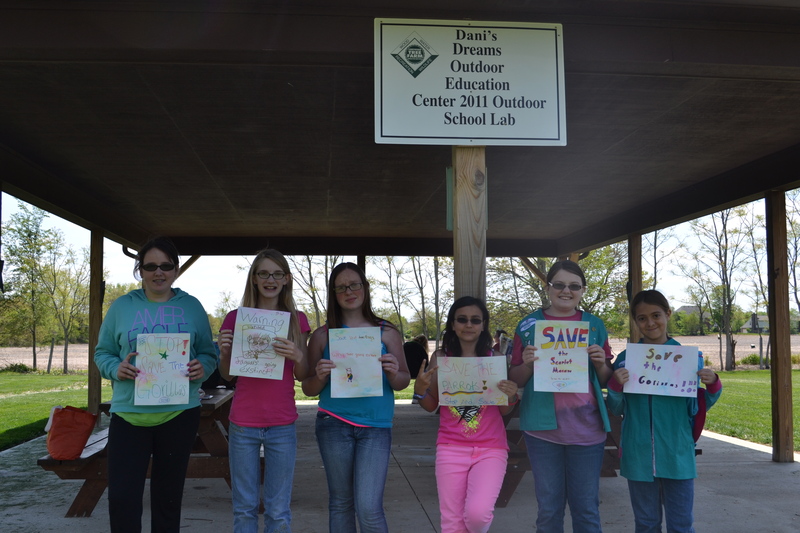 Dani’s Dreams partnered with Hancock County Girl Scout Troop 924 for a special Badge Day event May 18. The Junior Troop of Megan Brinley, Lyssie Davenport, Alaina Davis, Lyndsay Diefenderfer, Cassie Moch and Sarah Warner earned their Animal Habitat badge and the Brownie Troop members Sarah Stonerock and Lilly Warner completed the requirements for Bird and Bug badges. Sarah Stonerock found out that the ladybug is found all over the world. It can play dead when it is threatened. Its favorite thing to eat is aphids. 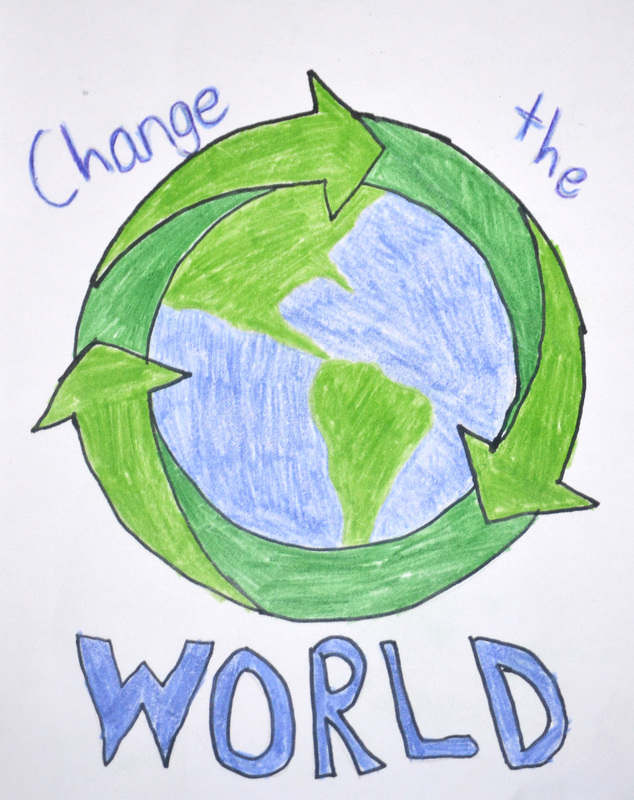 Audrey Poole of Zion Lutheran School won Dani’s Dreams county-wide T-shirt design contest with her drawing that became the design for the “coolest T-shirt on the planet.” Audrey’s design was the favorite of those attending the Earth Day Dedication Event April 10. Katie Taylor was the second place winner and Eli Boyd’s design took third place. Bryce Kleiman, New Palestine High School graduate, is the 2014 winner of the Dani Griffin Innovation in Education Scholarship. Bryce is the seventh recipient of the Dani Griffin Innovation in Education Memorial Scholarship. He attended Zion Lutheran School for 10 years. Donations to Dani’s Dreams Outdoor Education Center will help support Bryce and other ambitious, focused, intelligent young people to reach their dreams. Look for opportunities to be a part of Dani’s Dreams team in the coming weeks!